Social Media Surgery and Coffee…. perfection? Next Saturday (20th) will see July’s Walsall Social Media Surgery kick off at half nine in the town’s Starbucks coffee shop. Granted, that particular retailer may have a slightly patchy record when it comes to taxation and fair play, but the individual branches tend to be good, and I enjoy their filter coffee. The event is an opportunity for those of us who are about on a Saturday morning to gather, share ideas, pick things up off one another and generally chew the fat. At the same time, some folks with fine minds and degrees from the school of life will be around to help you understand and use social media and related tech effectively. If you fancy it, please take a look at the website, and sign up. We’d love to see you. Wednesday night is the next Walsall Social Media Surgery. Please consider coming along, or if you can’t come but know someone who should, share the link, or this post, or just download and print off the poster linked below and stick it to their forehead. We’ll be in The White Lion, and everybody’s welcome. 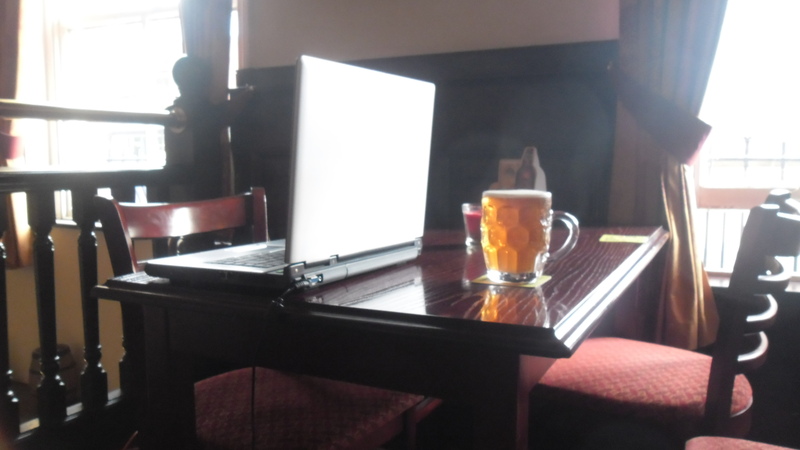 With the recent Social Media Surgery at the Black Country Arms, we met more people, drank beer, talked tech and generally assisted people who want to improve their skills and knowledge. I’m very grateful to fellow surgeons Dan Slee and Jimm Rennie for their sterling work. It’s no great secret I love this activity – helping other people more or less to help themselves to the social media tools they need for their voluntary org, non profit, or their personal online activity.